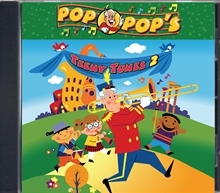 Take your little sailors on a magical tour of Teeny Tunes Town with over 25 sing-along songs on CD, recorded in split-trax format. Your toddlers will have the time of their lives as they join the parade with Pop Pop, Nanna Piana, and friends. $0.99 19. Are We There Yet? $0.99 23. Please Help Me!